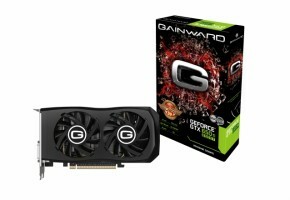 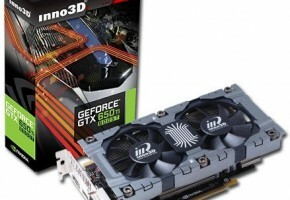 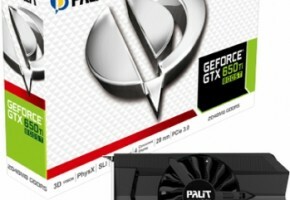 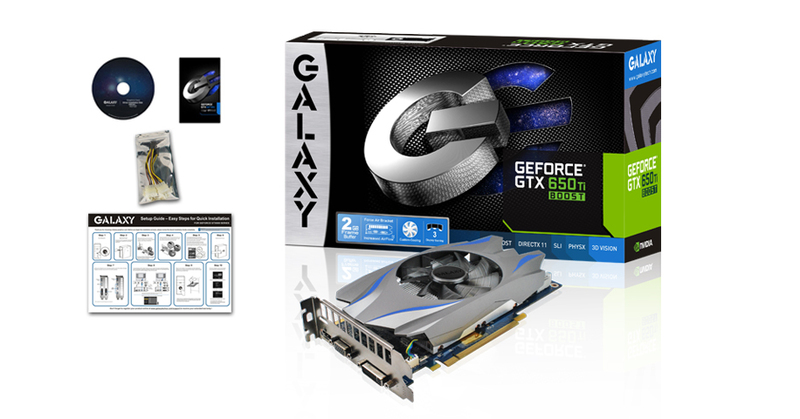 Galaxy Microsystems, a leading manufacturer of performance graphics cards, announced today the GeForce GTX 650 Ti Boost. 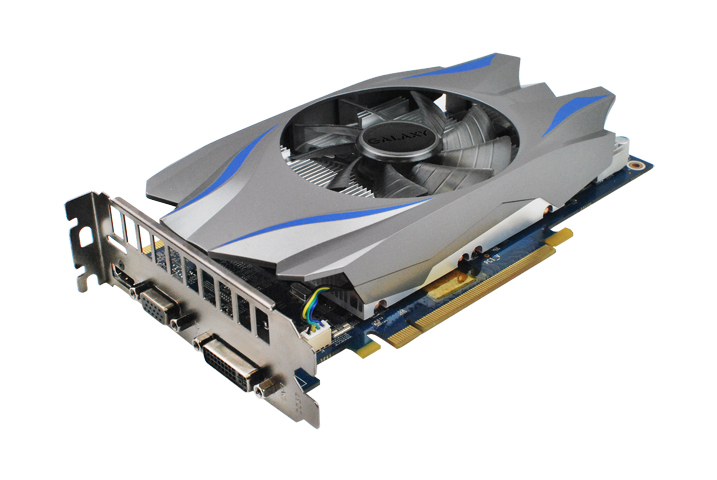 The new GPU brings high detail 1080p gaming to the mainstream by combining the affordability of the GTX 650 Ti with the features and performance of a higher end GTX 600 series card. 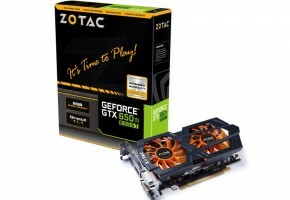 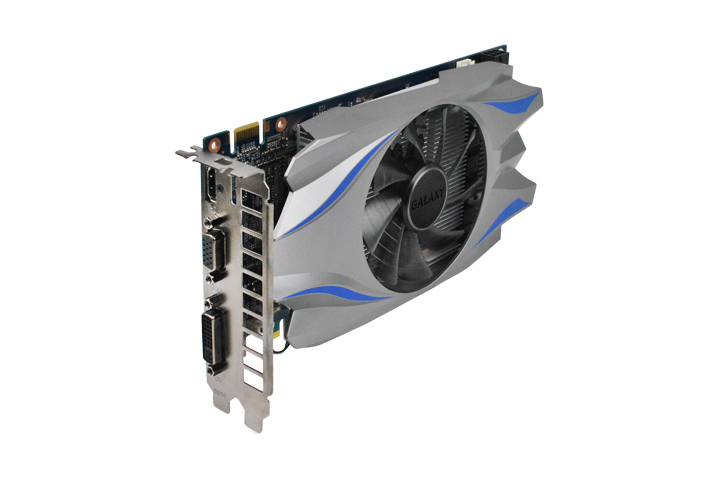 Most notably, the GTX 650 Ti Boost includes support for GPU Boost, which automatically clocks the GPU core up to its maximum potential, and SLI, which lets users pair cards up to double the graphics processing power. 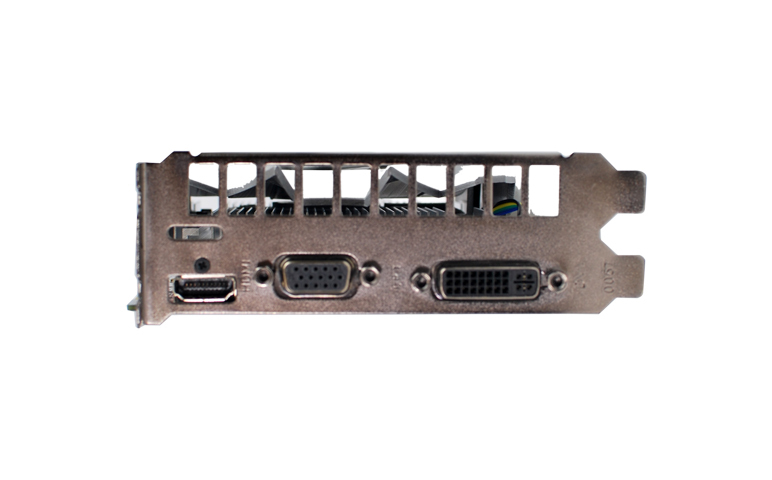 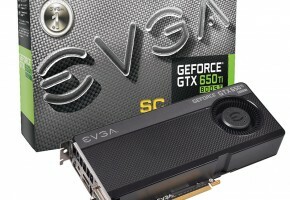 In addition to added features and functionality, higher core clocks and dramatically increased memory bandwidth further enhance overall performance, delivering speeds 40% faster than the standard GTX 650 Ti and allowing gamers to play the newest titles in full 1080p with high detail settings. 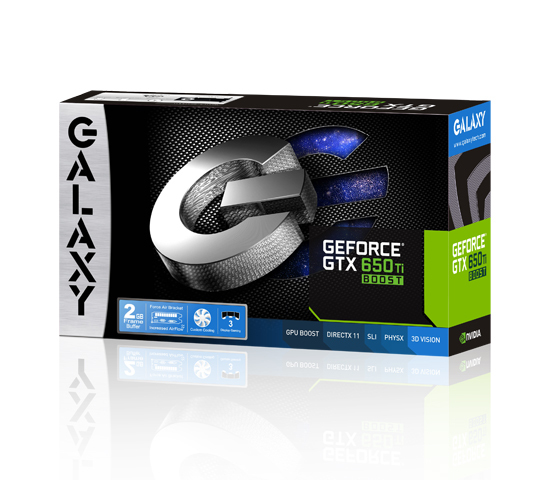 Galaxy’s whisper quiet custom cooler and exclusive Force Air Bracket maximize heat dissipation to keep noise and temps low. 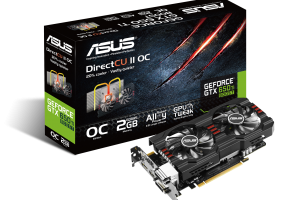 Support is also included for Adaptive VSync, PhysX, 3D Vision, and triple display gaming with NVIDIA Surround. 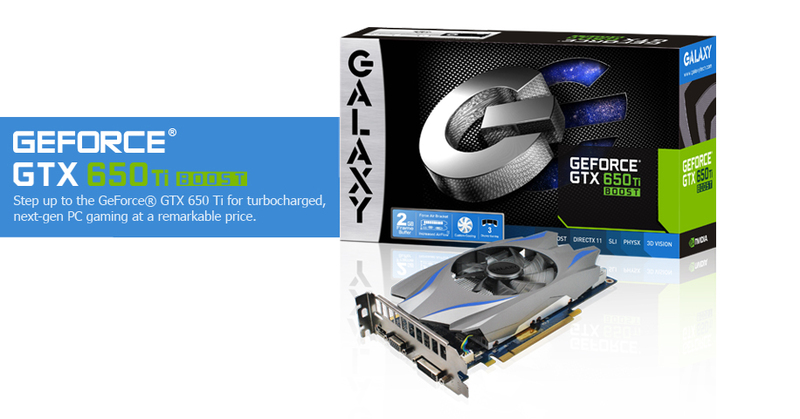 The Galaxy GTX 650 Ti Boost 2GB is available now at leading retailers: Amazon, Best Buy, NCIX, Newegg, and TigerDirect.